Getting refferals to sign up to online survey sites that you are a member of is a tough task, IF you don't know how to go about it. Even people that think they know how to get referrals end up falling short. As you have probably found out the hard way, it is not how many referrals that you get, but it is the quality of those referrals. You want to attract people that want to get paid for taking an online survey. You don't want some unmotivated browser, that will join and do absolutely nothing. 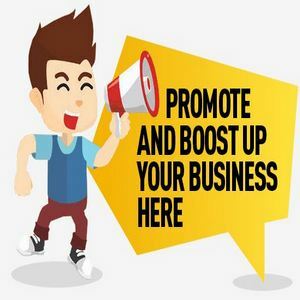 There are many easy ways to make your referral number skyrocket, and most of them do not involve you having to pay for internet adverstising of any sort. This involves everything from homemade flyers to pass out at a local college, or telling each and every one of your family members and friends (you won't believe how good of a referral a friend/family member can be). You may want to dive into the paid advertising portion once you get comfortable with what works and what doesn't work, but, who knows, you might not even NEED to pay for any sort of advertising (ex: google adwords). You might end up making a nice amount of money getting people to join survey copanies doing free marketing. The trick is to know what survey sites are good and reward well. You want your referral to feel comfortable with the site they join and you want them to be able to make money themselves. That is why you want to join AND get paid from every single online survey site that you promote. That way, you know that your referrals will enjoy the site enough to keep making money. The longer yor referral is active, the longer you will get paid from the work they do! Sign up to one of the top online survey sites and get a feeling of what it is about. DO surveys yourself. Earn money. Get paid from them. That way, when you promote it, you can tell your referal exactly what to expect and what to do to make the most money possible from that particular online survey site. Remember, you want a Quality Referral, that enjoys making money taking surveys. The better you lay everything out and give good information, the more likely they are to jump right in and become a consistant money maker for months, or even years to come. Join 5 or 6 of the highest converting survey sites on the web and spread your referrals between them. You will soon find out which ones are keeping your referrals interested, and you will be able to target a couple of your higher converting survey sites for your referals to join.